Emma regularly meets her long-standing friend Gary in the churchyard near Saint Giles’ church in North Oxford. 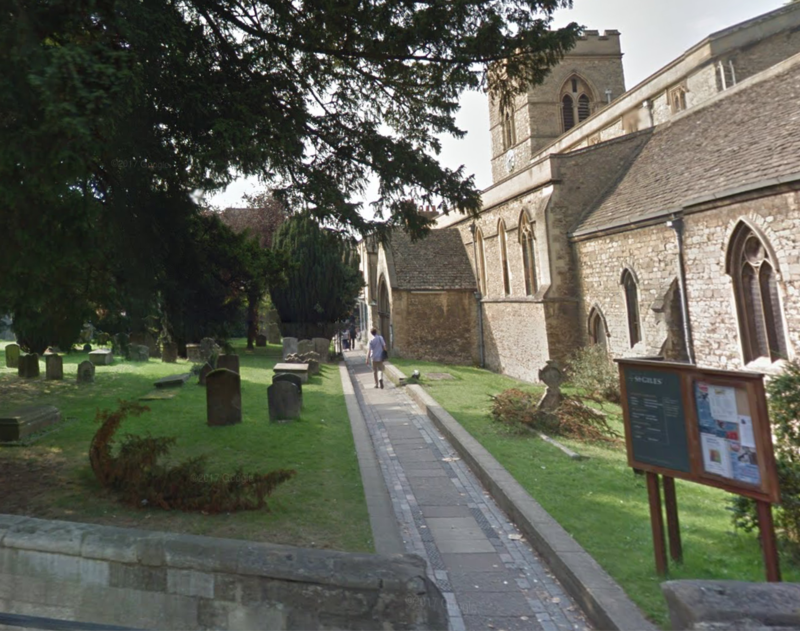 It is at the northern end of the wide road called St Giles’, where Woodstock Road meets Banbury Road. It happens to be a short walk from her office. The church was built in the 12th and 13th centuries. Beside the graveyard is Oxford’s main war memorial. Fortunately for Emma and Gary, there are a few benches around to sit on and the place is usually pretty quiet, so it makes a perfect place to meet and discuss the case. Next time you’re in Oxford, take a walk and have a look.